The past weekend starting from Friday night was spent by me with friends whom I’m sorry to say, I haven’t done so in almost a month or so on the account that all of us are busy as hell .It was good to catch up on things, sleep over, pillow talk(muahaha) and actually managed to go out with the girls to watch a movie(woaah the last movie that I watched at the cinema was The Ugly Truth—been that long!) after I have been busy with assignments, getting sick and many other things. Sadly we missed a few of the girls..Hani & Yaya is super busy with the crazy/near dying point that is Part 6 while Mak is in Keramat—sorry Mak(time aku takde kat Shah Alam,dia ajak kuar tapi xdpt..bile aku kat Shah Alam,die dah kat Keramat)!!! !I miss you so much & your crazy antics & your jokes...sob sob sob sob. 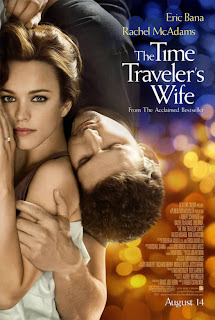 Watched The Time Travelers Wife and it moved me although not to tears though.I thought that the idea of the ability to travel through time is cool although the naked part so isn’t and funnily the moral that I got from the movie is that,One should not choose hunting as a hobby..lols.Watch the movie or read the book to understand that. I am actually amazed when I was at Readings at the authors who are able to pen their thoughts into books and published them. Katz Tales by Ellen Whyte was so funny.Amir Muhammad was there but I was too shy to ask to take a pic with him or any people there for that matter because I felt so small.The authors there are people whom I wish I could become and although my parents,friends and some lecturers have encouraged me to pen a book,I have yet to be able to do so. I am even more impressed with people who are able to write poetry because I am not able to do so.I can write pages on a topic that I believe in or create a piece of fiction but poetry is something that I can’t do,be it in the Malaysian language or the English language. Oh,the place that Readings was held was so beautiful...The house(SEKSAN) was amazing and looks like a great place for a retreat or an awesome PARTY PAD!woohoo...Sooo need to find out how much does it cost to rent the place for a day or one night because YOU CAN! !The organizer,Sharon said that the place can be rent for events.There’s a beautiful long green pool in the middle of the house,lots of woods mixed with concrete,old Malay kampong house doors,lush greenery,lots and lots of beds around. Ciao..! !I am going to Tun Dr.Mahathir’s Perdana Discourse tomorrow & it is my second time! !I have one more assignment to go & 1 more final paper to study for...huhuh. Next post,AAR live in Bukit Jalil!